Okay yall, don't hate it until you try it. 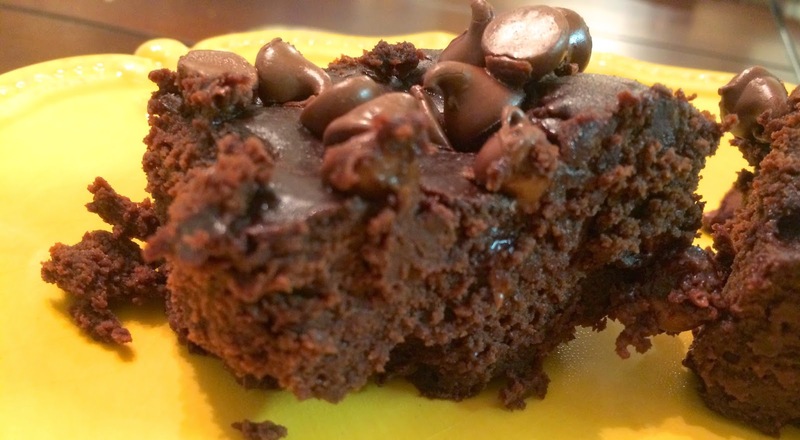 I had seen a few things about this black bean brownie concept floating around Pinterest and the blogosphere, and I just had to give it a shot. These brownies are made with black beans instead of flour, so they are super fudgy and just a tad bit healthier. I know it sounds strange, but the black beans really do take on any flavor. I didn't tell Parker about the odd ingredient until he took a bite (Hello! That's half the fun! ), and he had no idea these little babies were made with black beans. I also tried them on a girlfriend, and she couldn't believe it either. I really liked these brownies a lot. Parker was a little less keen on them because they had more of a dark chocolate taste thanks to the unsweetened cocoa powder. I encourage you to give these a try. It will probably be the fudgiest brownie you've ever had! 2. Process the black beans in a food processor until smooth. 3. Add the rest of the ingredients, minus the chocolate chips, and process again until smooth. 4. Mix in 1/2 cup chocolate chips and pulse a few times until chocolate chips are incorporated. 5. Pour your batter into a greased 8x8 baking dish and spread around the pan until smooth. 6. Sprinkle the remaining 1/2 cup chocolate chips on top of the batter. 7. Bake for 30-35 minutes or until it passes the toothpick test. Let cool before cutting. Hmm...you can't even tell it's made with black beans! Is it heavier than traditional brownies? I think I need to try this! I've mad a variation of this before and it's awesome! You can't even taste the beans, and you get tons of protein in your dessert! Thanks for sharing! Ok, I've seen these too, along with sweet potato brownies. I made a chocolate cake with zucchini and it was fudgy and rich. I think I need to try these! In college one of my housemates used to make something similar to these brownies using black beans... I honestly can't remember if I've ever tried them though! I am very intrigued! Half the fun is trying to trick the man right? I tried it once with cauliflower mashed potatoes but he read right through me immediately! ok, I gotta try this...do you know the comparison between these and regular brownies? 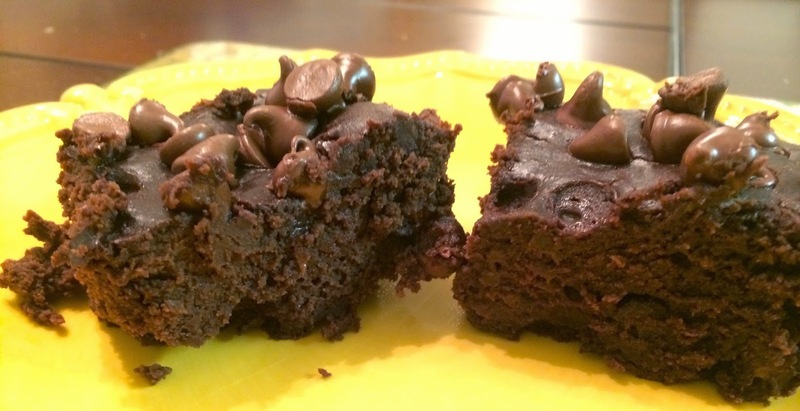 i think that is the exact same recipe i use for my black bean brownies and i LOVE THEM! i like them better than regular brownies now! Oh, they look so good and it's nice to find sweets that you can have a flour substitute. I'm skeptical but intrigued. Please send these my way. A'thankya! Wow these looks interesting and amazing!